The 2015 NY2LA Sports Invitational tipped off on Friday. It was an eventful evening in Mequon as a number of top travel programs squared off in marquee games on opening night. 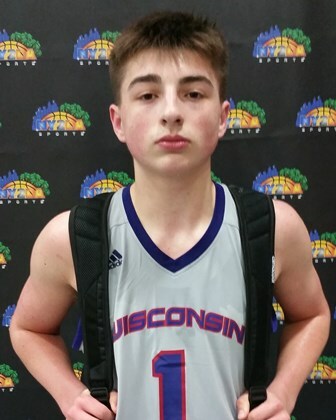 Leading the Wisconsin Playground Warriors to a grind-it-out win over the Illinois Stars, 2017 wing Kobe King came up big for his team and 2018 PG Jordan McCabe ripped the nets for 30 including a buzzer beating trey ball to lift his team to victory. King is developing rapidly and it’s exciting to watch. He scored a game-high 17 points to lead the Playground Warriors to a win over the Illinois Stars. King heated up in the second half, knocking down a number of smooth mid-range jumpers. 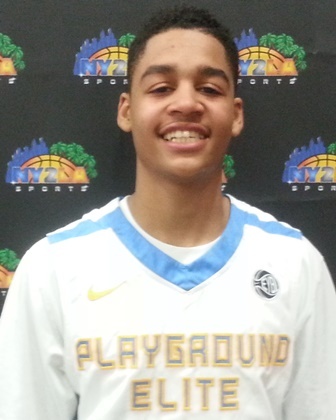 An athletic 6-foot-3 wing, King is also a terrific slasher, rising over defenders and finishing strong in traffic. McCabe came up with big plays throughout the night in a last second victory over a tough Howard Pulley Panthers program. McCabe wrapped with 30 points as he created and scored throughout the night in impressive fashion. He saved his best for last as he ripped the nets from the left baseline for a three point basket at the buzzer to lift his team to an exciting 1 point victory in the last game of the evening. Meredith is a smooth guard that knocks down jumpers with ease. 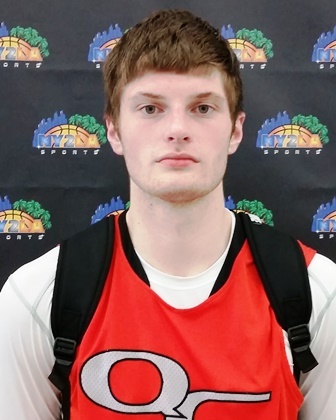 He was in double figures in EG10’s loss to Wisconsin United on Friday. Meredith did a nice job of creating for himself off the bounce and made nice decisions in one-on-one situations. Poole caught fire in a win over EG10 on Friday. The sharpshooting guard had a game-high 15 points in limited duty, all on three-pointers. Poole was pulling up from roughly 25-feet and hitting nothing but net. If defenders give Poole an inch, he makes them pay. 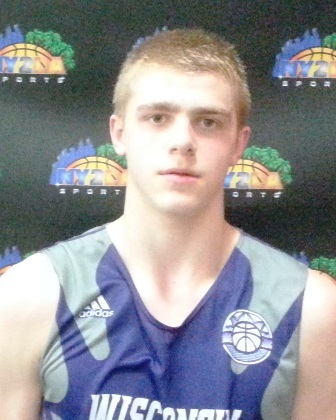 Sabin has a chance to really develop into one of the top players in the state of Wisconsin. A skilled, versatile combo forward, Sabin has all the tools offensively and is able to play and score from anywhere on the floor. Sabin has no problems playing inside or outside on either end of the floor. His combination of size, length, and athleticism is very impressive for his age. Leading the Shooters to a blowout win over the Illinois Celtics, Sabin scored 11 of his 13 points in the first half, helping give his team a 20-point edge at the break. Curtis had 15 points in a win over EG10. Putting together a strong effort on both ends of the floor, Curtis collected steals and turned them into points for Wisconsin United. Curtis fits the Wisconsin United style perfectly, applying pressure defense and making quick decisions with the basketball on the fly. Garcia had a game-high 14 points in a win over the Illinois Celtics. A savvy lead guard who makes good decisions in transition, Garcia was fantastic in the open floor, racing with and without the ball to get easy baskets. Garcia has deceptive speed and was able to blow by the opposing defender throughout the game. Kale lifted the Playground Warriors out of an offensive funk in the first half. He scored eight-straight points in the first half to give the Playground Warriors some breathing room. Kale finished with 14, hitting three triples. A nice looking point guard with speed and handles, Kale has the ball on a string shows good understanding of how to orchestrate the offense. Quad City Elite came up short against the Milwaukee Spartans, but McCarty impressed nonetheless. The physical forward jump started his team with aggressive post play and a never-say-die attitude on the glass. McCarty was a work horse, collecting offensive rebounds, keeping plays alive, and blocking shots. The 6-foot-7 junior can also stretch the floor with three-point shooting. One of the best kept secrets in the state of Wisconsin, Wagner went for 22 points to lead the Playground Warriors to a win. Able to rise and fire on the perimeter, Wagner was unconscious at times with his hot shooting, leading his team to a win over Illinois Old School. Wagner loves to set up his defender with a strong mid-range game, putting the ball on the deck and pulling up when the defense starts to overplay.